This question follows from a new study published in the journal Current Microbiology titled, "The Effect of Glyphosate on Potential Pathogens and Beneficial Members of Poultry Microbiota In Vitro," which found that the active ingredient in Monsanto's Roundup herbicide, known as glyphosate, negatively impacted the gastrointestinal bacteria of poultry in vitro. The researchers presented evidence that highly pathogenic bacteria resisted glyphosate, whereas beneficial bacteria were moderately to highly susceptible to it. Some of the beneficial species that were found to be suppressed by glyphosate were Enterococcus faecalis, Enterococcus faecium, Bacillus badius, Bifidobacterium adolescentis and Lactobacillus spp. The pathogenic species which were found to resist glyphosate toxicity were Salmonella Entritidis, Salmonella Gallinarum, Salmonella Typhimurium, Clostridium perfringens and Clostridium botulinum. The researchers stated that "A reduction of beneficial bacteria in the gastrointestinal tract microbiota by ingestion of glyphosate could disturb the normal gut bacterial community." Even more alarming was their observation that the toxicity of glyphosate to the most prevalent beneficial species, Enterococcus, "could be a significant predisposing factor that is associated with the increase in Clostridia botulinum-mediated diseases by suppressing the antagonistic effect of these bacteria on clostridia." 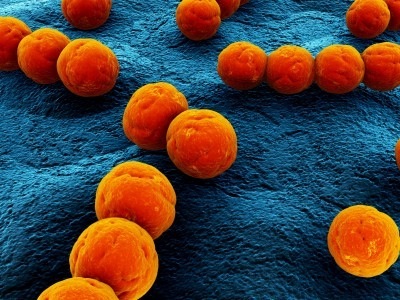 Clostridia are a class of anaerobic bacteria including some of the most dangerous known to man, such as C. tetani and C. botulinum, which produce tetanus and botulin toxin, respectively. Consider that botulin is the most acutely toxic substance known, and that despite the fact it is FDA-approved for use "cosmetically," e.g. Botox injections, it is being looked at as a potential bioweapon because it only takes 75 billionths of a gram (75 ng) to kill a person weighing 75 kg (165 lbs). It has been estimated that only 1 kilogram (2.2 lbs) would be enough to kill the entire human population. The researchers noted that the glyphosate-sensitive beneficial strains of bifodobacteria, lactobacilli, propionibacteria and enterococci were found to inhibit the growth of C.botulinum. 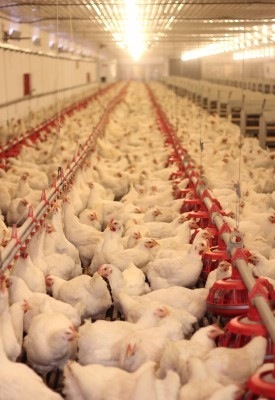 They also found that pathogenic Salmonella and E.coli strains, increasingly found contaminating poultry products, were highly resistant to glyphosate. Lastly, the researchers pointed out that glyphosate also has the potential to induce genetic mutations within bacteria, making it possible for a new level of pathogenicity to emerge following chronic exposure to this chemical. What Does This Mean For Our Food? One of the obvious implications of this research is that poultry fed glyphosate-laced genetically modified corn or soy, for instance, would likely experience unhealthy changes in the make-up of their intestinal flora (known as dysbiosis), resulting in increasing harm not only to the animals, but to those consuming them. Factory-farmed chickens are already routinely fed antibiotics, arsenic and even antidepressants, all of which represent serious health threats, both by contributing to the generation of communicable disease vectors, as well as contamination of the meat itself. Research published earlier this year, also in the journal Current Microbiology, indicated that glyphosate formulations, at concentrations lower than presently used in agricultural applications, are capable of destroying food organisms widely used as starters in traditional and industrial dairy technologies, such as Geotrichum candidum, Lactococcus lactis subsp. cremoris and Lactobacillus delbrueckii subsp. Bulgaricus. [iii] The study authors concluded that Roundup herbicide's inherent toxicity to soil organisms may explain what is behind "...the loss of microbiodiversity and microbial concentration observed in raw milk for many years." The reality is that GM farming practices, which are heavily reliant on glyphosate-based herbicide formulations, are creating a more serious long-term threat to our food security by drastically altering the composition of the soil, threatening its very fertility and ability to produce food for present and future generations. For more details read our article on the topic: Un-Earthed: Is Monsanto's Glyphosate Destroying The Soil? Listed below are links to blogs that reference this entry: Roundup Herbicide Linked To Overgrowth of Deadly Bacteria. This page contains a single entry by Toni published on December 14, 2012 12:39 PM. Kenya bans importation of all GMO foods (video) was the previous entry in this blog. The World Cries with Connecticut - Who Was the Killer’s Doctor & What Drugs Was He Taking? is the next entry in this blog.